What is stevia and why is it one of the latest crazes in the ever-evolving sweeteners market? More importantly, is stevia safe? And how can it help you if you’re dieting? 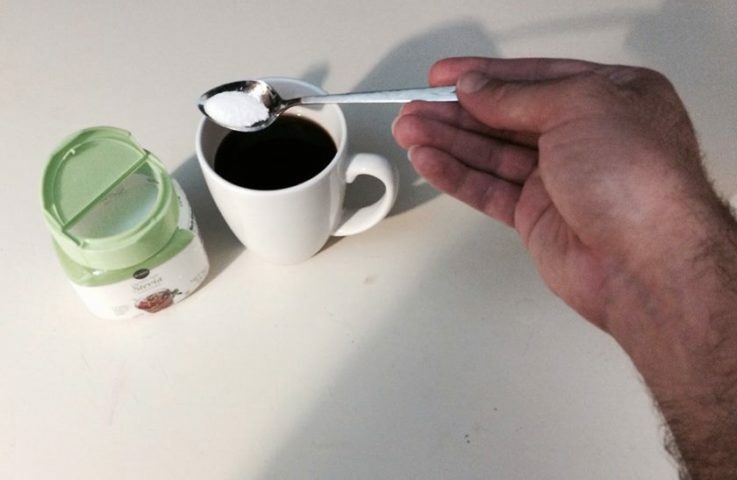 Here’s what you need to know about the safety of stevia products, plus how to make your own natural stevia sweetener at home. My first introduction to the sweetener came in 2010, when I was at a local mall with my sister and was invited to take part in a marketing survey. Hey, it was a quick $3 in cash and I thought taking a little survey may be fun. So, while sis waited outside, I was walked back to an office and sat in a small room. The survey taker asked me to eat 2 types of chocolate bars – one “regular,” the other was made with stevia. I found the chocolates tasted roughly equal to me. They wrote down my opinions and off I went, $3 richer. Enough money to buy a high-fructose corn syrupy soda in the food court. Well, it seems a lot of people have similarly approved of stevia, because within a couple years I was seeing it pop up nearly everywhere. But, the purist I am, I still stuck to buying table sugar as my sweetener. So, when my fiancee and I started changing our eating habits and experts suggested we switch to using stevia as a sweetener instead of regular sugar, I bought my first canister of the stuff. 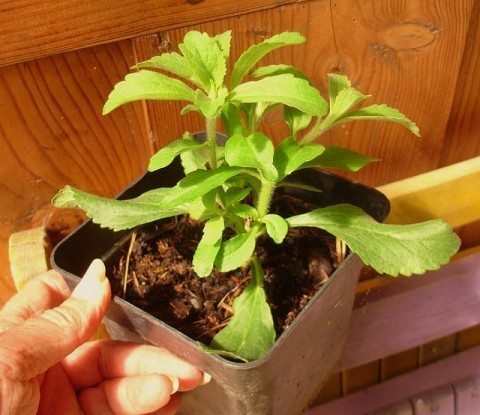 But what exactly is stevia and why are so many people touting it? As I have learned, stevia is a natural sugar substitute that derives from the stevia rebaudiana plant in South America. Stevia extract, called rebaudioside, is about 300 times sweeter than sugar. It has become popular in the diet and natural food circles. As far as scientists can tell, stevia has basically negligible effects on blood sugar levels and is great for people who have diabetes or those who are on low-carb diets. Stevia has been in use throughout the United States since at least the mid-1980s. It’s also been used as a sweetener and medicinal agent by native peoples in South America, and most especially those in Paraguay, for centuries. Seems like stevia is no doubt the way to go when it comes to sweetening your food without the worry of calories and carbs, right? Well, not so fast — it looks like there may be a catch. As it turns out, the FDA had banned stevia in 1991 after an anonymous complaint, which many people believe was lodged by the artificial sweetener industry. Stevia, by the way, is considered safe by many food safety organizations in other nations. The FDA has since approved many stevia-based products for consumption, and the extracts and leaves are approved as a dietary supplement. OK, so stevia itself is natural, but that doesn’t mean the stevia you buy at many grocery stores in the United States is 100% natural product. 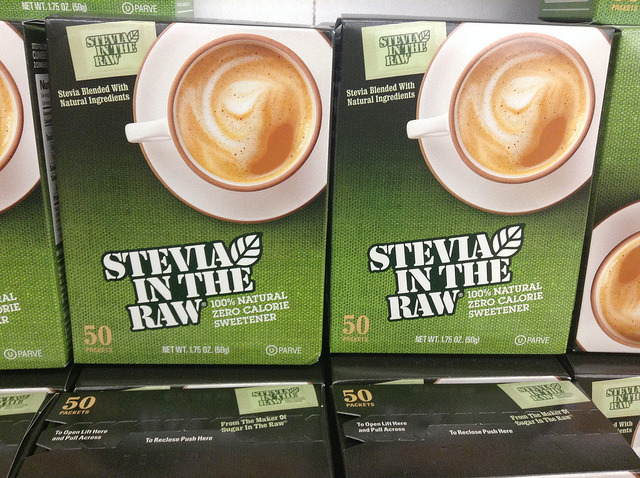 Basically, most stevia products on U.S. grocery store shelves use stevia-based extracts (that also have additives). And many of the stevia sweeteners you find in the sugar aisle at the grocery store also have additives. Common additives are dextrose and erythritol, which are manufactured from genetically engineered corn. By the way, some of those food products I mentioned earlier — the ones that say they’re made with stevia — actually contain additives or versions of stevia that have been highly processed. Some of the compounds even derive from carcinogenic ingredients! Remember, rebaudioside — the stevia extract commonly used in the food industry today — hasn’t been studied for nearly as long as pure stevia, and we just don’t yet know the long-term health effects it could have. Still interested in stevia but want it only in its pure, natural form? Buy dried stevia leaves online and grind them up to make powdered stevia. Look for food products that list whole stevia leaf among the ingredients.